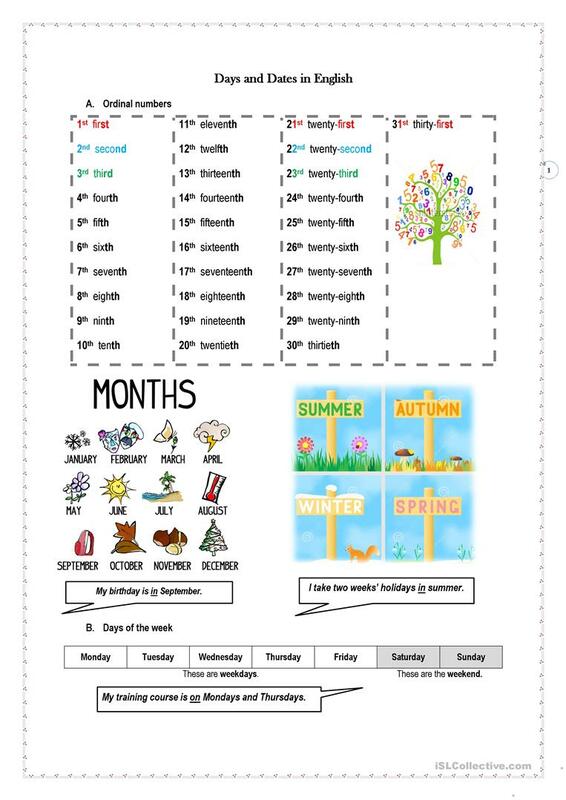 Worksheet with vocabulary and exercises about dates: ordinal numbers, months, seasons, days of the week, writing and saying dates. 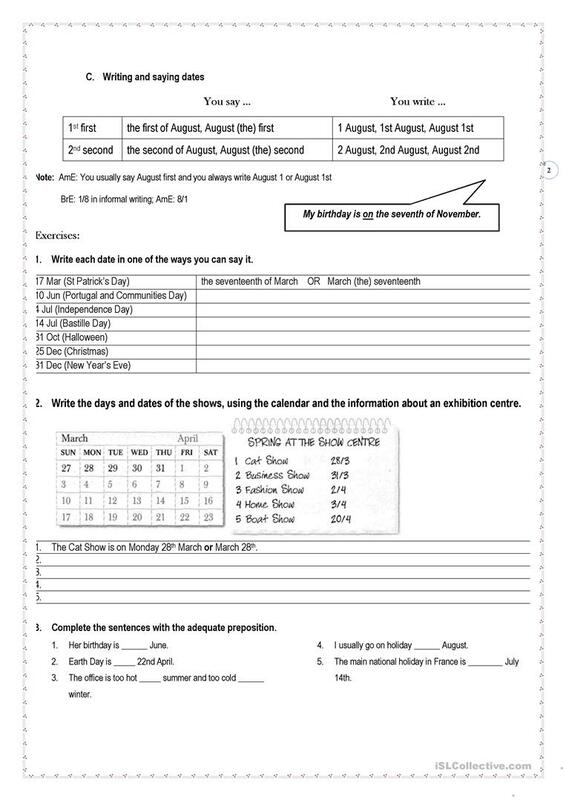 It also highlights the prepositions used when referring to dates, months, seasons and days of the week. The present downloadable handout is meant for business/professional students and adults at Pre-intermediate (A2) and Intermediate (B1) level. It is a useful material for practising Prepositions of time in English, and is a valuable material for enhancing your students' Speaking skills. It focuses on the topic and words of Dates, Days of the week, Months and Seasons. Sonia26 is from/lives in and has been a member of iSLCollective since 2012-10-24 16:18:17. Sonia26 last logged in on 2019-04-15 16:16:20, and has shared 10 resources on iSLCollective so far.